Tommy is a graduate of Northern Arizona University with both his BS in Exercise Science and his Doctorate of Physical Therapy. He was born and raised in Phoenix and graduated from Greenway High School. Tommy has experience as a Swim Coach as well as coaching Track and Field. He was on NAU's Track team and participated in the High Jump. Outside of treating patients, Tommy enjoys hiking, nearly all sports and spending time with his family and friends. Brittney Blankenship, Front Office Admin. Asst. Brittney grew up in Tucson, AZ. She is currently studying Elementary Education and Special Education at Grand Canyon University. Growing up, Brittney practiced ballet for 15 years and became a Principal Dancer for Ballet Continental. She moved to Scottsdale in 2017 and enjoys finding new places to explore in the area. In her free time, she loves to take ballet classes, go hiking and watch movies. Kaiti Bowen is the Athletic Trainer for Notre Dame Prep. High School. Raised in Elliott, Illinois, she graduated high school from Gibson City High School. She earned her Bachelor of Science degree in Athletic Training from McKendree University. She spent 12 years competing in competitive travel softball and played in college for two years. She gained her passion for athletics and athletic training through the lessons learned in softball. In her spare time, she enjoy being outside with her dog Lucy, and spending time with her family and friends. Todd Ellenbecker, physical therapist with more than 30 years of experience, is joining Rehab Plus Sports Therapy Scottsdale in August 2018. Todd serves as the Vice President of Medical Services for the ATP World Tour and is a member of the Thera-Band Research Advisory Committee (TRAC). He holds several certifications, including Sports Clinical Specialist and Orthopaedic Clinical Specialist by the APTA, Strength and Conditioning Specialist by the NSCA, and is a USPTA-certified tennis teaching professional. Todd earned his undergraduate degree in physical therapy from University of Wisconsin-LaCrosse, a master's degree in exercise physiology from ASU, and a doctor of physical therapy degree from MGH–Institute of Health Professions. Well recognized for his vast expertise, Todd has been the recipient of many industry awards. He is also a manuscript reviewer for the American Journal of Sports Medicine, serves on 3 editorial boards, and is the author/editor of 15 books, 75+ book chapters and has published 55+ peer-reviewed articles in scientific journals. Herman is our Administrator of Post Rehab Programming and Exercise Science. Herman was raised in Yuma, AZ and graduated from Kofa High School. He graduated from Arizona State University in 2002 with a Bachelor’s degree in Exercise Science, Health, and Wellness. Herman has been a team leader at Rehab Plus Sports Therapy since 2002 and is head of the Wellness and Personal Training Program. He is currently certified as a Performance Enhancement Specialist through the National Academy of Sports Medicine. Aside from working in the clinic, Herman enjoys training individuals, spending time with his wife Andrea and two children, and working out. Tuesdays 1 - 6 p.m.
Brianne, who grew up in Chandler, earned her bachelors of science degree in exercise science from Colorado Mesa University and completed the PTA program through GateWay CC. In Colorado, Brianne spent two years interning at the Monfort Human Performance Lab, specializing in gait and sport-specific motion analysis to improve sport performance. Brianne was also a member of the universities track and field team, competing in the javelin and 400m hurdle events. Aside from clinical work, Brianne has experience in game-day operations for local professional sports teams and volunteers at Ability 360 events. She is an avid sports fan, especially when the Notre Dame Fighting Irish or the Arizona Diamondbacks are playing! Brianne enjoys spending time with friends and family, listening to country music, and cross-stitching. Mondays, 7 a.m. - 7 p.m. (lunch 12 - 1:30 p.m.
Thursdays 7 a.m. - 12 p.m.
Fridays 1 - 5:30 p.m.
Kas has over 30 years of practical experience in the physical therapy realm. Kas practices at such a high level of competence, client’s satisfaction with her skill is evident when they request her upon their return to the clinic. Kas graduated in 1985 from Texas Woman’s University, Houston Campus, School of Physical Therapy following a B.S. in Psychology from Lamar University in 1982 where she competed in water skiing at the collegiate level. She moved to Phoenix in 1992 to open a back clinic for JCL Hospital and her own private practice, Searle Spine & Physical Therapy. Kas currently provides on call coverage at Rehab Plus and has been doing so since 2002, specializing in soft tissue mobilization. Kas is highly regarded in the physical therapy industry for her manual skills and has an established following because of them. Jeff has been a resident of the Valley since 1991. He is a 1982 graduate of the University of Iowa, where he earned his undergraduate degree as well as his Master’s degree in Physical Therapy. He moved to Arizona to further his studies, receiving his two year accreditation in orthopedic and sports manual therapy from the Norwegian Sorlandts Institute. In addition, he is a former Certified Athletic Trainer and a Certified Sports and Conditioning Specialist. From 1995-2000, Jeff supervised the athletic training program for the five high schools in the Scottsdale school district. Currently he is the owner of Rehab Plus Scottsdale and contracts with Notre Dame Preparatory Academy to provide Athletic Training services for their program. He specializes in preoperative and postoperative rehab for orthopedic sports injuries as well as neck and back dysfunctions. Jeff is licensed with the state of Arizona as a board certified Physical Therapist. In his free time Jeff enjoys spending time with his wife and two kids and is an avid outdoorsman. Thursdays 1 - 6 p.m.
Kristi is a proud Wisconsin native and a dedicated Badger, Brewer, and Packer fan. She moved to Arizona in 1993 where she worked as a licensed Physical Therapist Assistant for Scottsdale Healthcare. After ten years, she joined her husband in opening their own physical therapy practice. Kristi now serves as Office Manager. Although Kristi loved patient care and continues to keep her PTA license, she spends most of her time handling the office side of the clinic, including billing and collections. Kristi and Jeff have two amazing children, Billy and Katie, who also spend time helping with the family business. In her free time, Kristi loves to be with her family; cooking, crafting, hunting, fishing, or camping. She also loves to cheer on her Badgers, Packers and Brewers, and spend time with her huge family in Wisconsin. 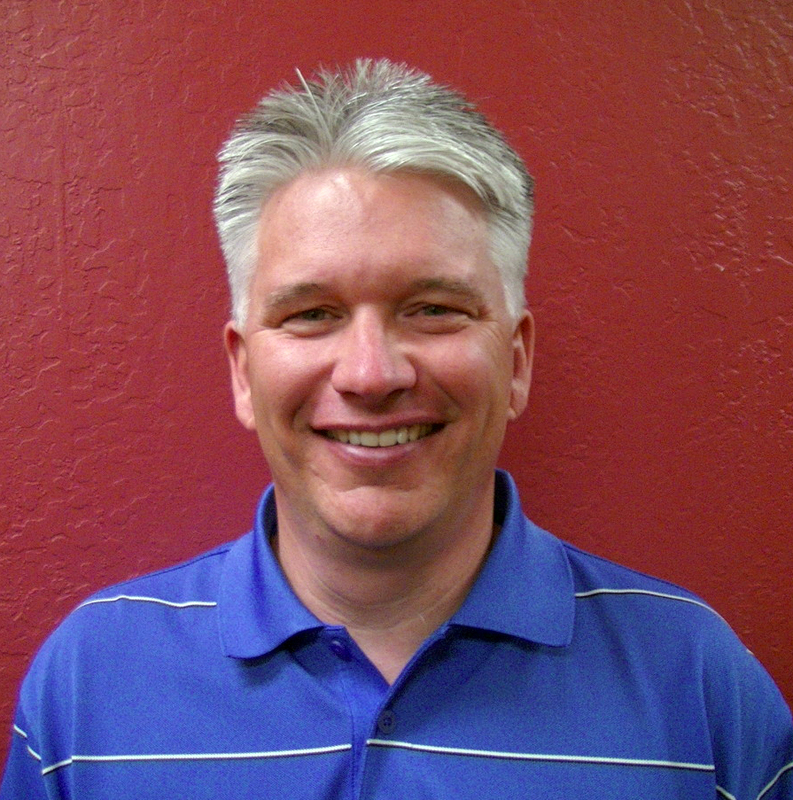 Jeff is a licensed Physical Therapist, and has practiced in Arizona since 1992. He specializes in orthopedics and sports medicine, and he has worked with athletes from youth through professional sports. Jeff has also been a full-time faculty member at PVCC since the 2000-2001 academic year. He is currently the lead instructor for BIO160 and BIO201, and has also taught BIO156 and BIO202. In addition to teaching, Professor Jeff Lace played collegiate and minor league baseball. Professor Lace's interests include coaching youth baseball, skiing, running, and golfing. He is an avid sports fan and a supporter of the Green Bay Packers, Wisconsin Badgers, and ASU. Colin Markgraf is a Certified and Licensed Athletic Trainer. A native of Arizona, he graduated from Centennial High School in Peoria and earned his B.S. degree in Athletic Training from Grand Canyon University. He then earned his M.S. degree in Exercise Science from Concordia University Chicago and earned a Corrective Exercise Specialist certificate from the National Academy of Sports Medicine. Prior to joining Rehab Plus, Colin worked at different high schools and a wellness clinic. Today, he continues to work several other athletic events around the Valley, including soccer, lacrosse, rugby and quidditch. In his spare time, Colin spends time with his fiancé and three children. Rita McCarty has over 16 years of experience in the fitness industry. She holds several Certifications which include, ISSA Certified Fitness Trainer and Post Rehab Fitness Therapist, Senior Fitness Specialist, TRX Suspension Training and she is also a Certified Holistic Nutritionist. Rita specializes in training men and women of all ages. She also works with clients who have medical conditions and/or physical limitations. Her areas of expertise include strength training, balance, core and mobility training, stretching and flexibility, cardiovascular conditioning, weight loss, nutritional counseling and implementing lifestyle changes to help you achieve your health and fitness goals. Tad received both his undergraduate and physical therapy degrees from the University of Wisconsin LaCrosse where he also played collegiate football. 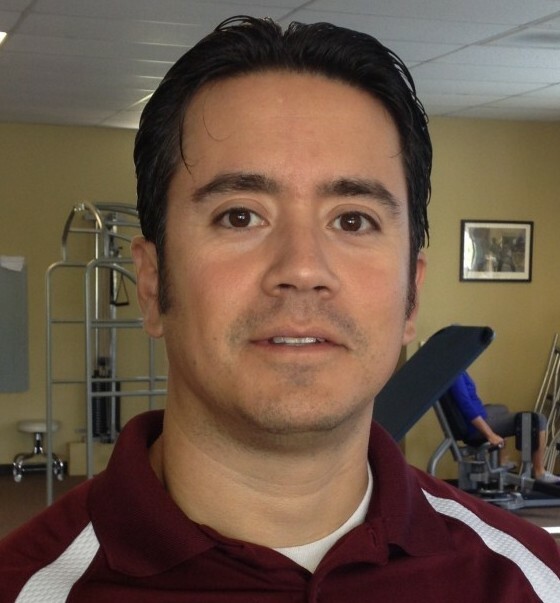 He has resided and practiced physical therapy in Arizona since 2004, specializing in sports and orthopedic rehab. Tad is an Orthopedic Certified Specialist through the American Physical Therapy Association and a Certified Sports and Conditioning Specialist. Professionally, he has been involved in clinical research studies and has co-authored a number of chapters in PT books. In his free time, he enjoys running, hiking, competing in adult sports and obstacle runs, along with traveling. He is an avid sports fan with strong allegiance (and ownership) to the Green Bay Packers. Ted Sueyoshi, originally from Japan, is a certified athletic trainer (ATC) and a performance enhancement specialist (PES). He has a BA degree in Law from China University in Japan and a BS degree in Exercise Science/Physical Education from ASU where he graduated in 2002. The areas of his professional interests include post-op and non-op rehabilitation, injury prevention, and performance enhancement of athletes at various levels, as well as research in those areas. His research work has been published in many peer-reviewed journals such as Orthopaedic Journal of Sports Medicine, Sports Health, British Journal of Sports Medicine, etc. In addition, he has served as a reviewer for peer-reviewed journals. He also serves as a National Network Provider for US Figure Skating. In his spare time, he enjoys playing and watching sports, traveling and exploring the nature, searching for great coffee shops, and cheering for his favorite sport team, Penn State Nittany Lions. He also writes books and does photography and his books are published on iTunes. 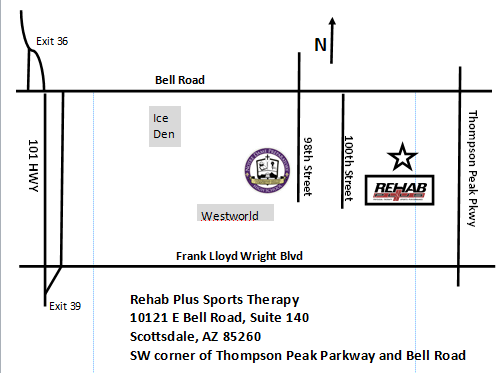 He joins Rehab Plus after working at Physiotherapy Associate in Scottsdale for almost 14 years. Tuesdays 7 a.m. - 12 p.m.
Moose's primary responsibility is making people smile!